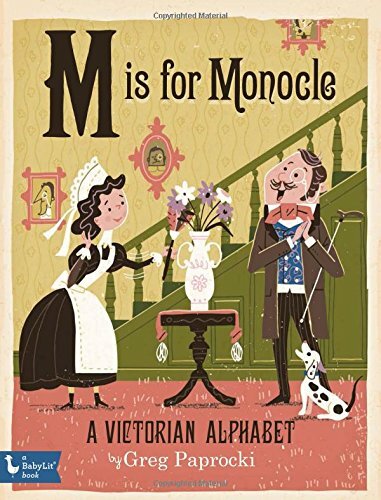 Introduce your brilliant babies to the ABCs with this collection of wonderfully detailed illustrations showcasing life and times in the steam-powered Victorian era. Treat your toddlers to artist Greg Paprocki’s depictions of the era’s lighter-than-air airships and big-wheeled bicycles built for two. It was also an era that saw the invention of electricity, the exploration of some of the last remaining wild frontiers on Earth, and the introduction of lasting literary creations such as Charles Dickens’s Scrooge and Arthur Conan Doyle’s Sherlock Holmes. 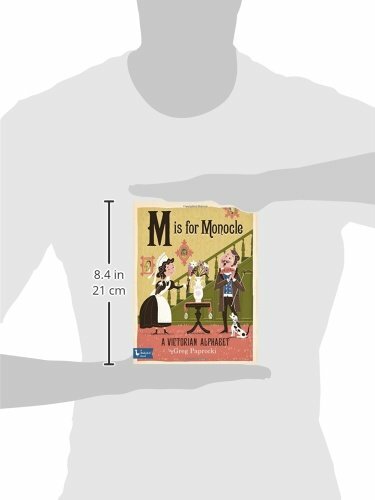 From the creators of BabyLit®: M Is for Monocle: A Victorian Alphabet is part of a unique new series that opens a window on history while teaching toddlers the ABCs. Different eras of history―including the nineteenth-century American West, medieval Europe, and Victorian England―are brought to life by Greg Paprocki’s fun and enticing illustrations in this new series of board books for brilliant babies.